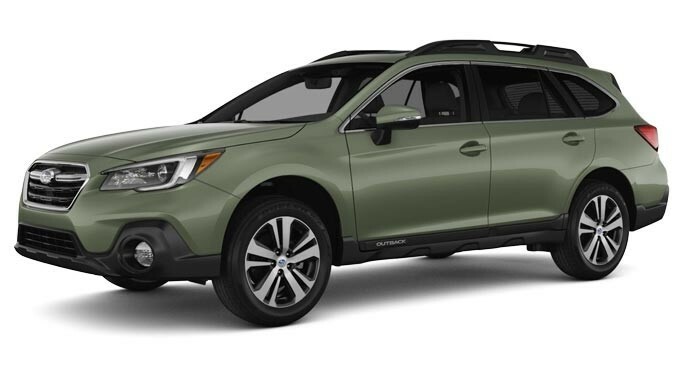 The adventurous 2018 Subaru Outback gives Lubbock families four trim level options to ensure you’re getting the right level of luxury appointments to make your trips through North Texas more fun. All trims will give you Symmetrical All-Wheel Drive and Subaru Starlink Multimedia, but each one builds on the last up to the Touring trim that gives you a world of conveniences at your fingertips. Learn more about each one below, then take your favorite for a test drive at Brown Automotive Group, your Borger and Hereford Subaru destination! With an MSRP starting at $25,895, the base trim comes equipped with Vehicle Dynamics Control with Active Torque Vectoring, 17-inch alloy wheels, raised roof rails, and Apple CarPlay and Android Auto. With an MSRP starting at $27,995, this trim adds fog lights and dual-zone automatic climate controls while making EyeSight Driver Assist Technology and the All-Weather Package available. With an MSRP starting at $32,695, you’ll get leather-trimmed seating with front and rear heating, a premium Harmon Kardon speaker system, Keyless Access, Push Button Start, and a Power Liftgate with this upgrade. With an MSRP starting at $36,490, this trim is the the top of the line and offers a heated steering wheel, navigation system, LED steering responsive headlights, and exclusive Java Brown leather-trimmed interior as standard. Every 2018 Subaru Outback is powered by a capable 2.5L Subaru Boxer engine that puts out 175 hp. A 3.6L V6 engine is available with the Limited and Touring editions for a robust 256 hp output. The EyeSight Driver Assist Technology package gives you the advantage of features like Lane Change Assist and High Beam Assist for better peace of mind as you drive your loved ones. Other standard features across the lineup include a high-resolution rearview camera and projector beam halogen headlights for better visibility. Narrow down your options by visiting our showroom at 4300 S Georgia St. in Amarillo. Give us a call to make an appointment at 806-352-5055 and find out more about our great leasing and financing options. Don’t hesitate to contact us online if you have any questions for us!